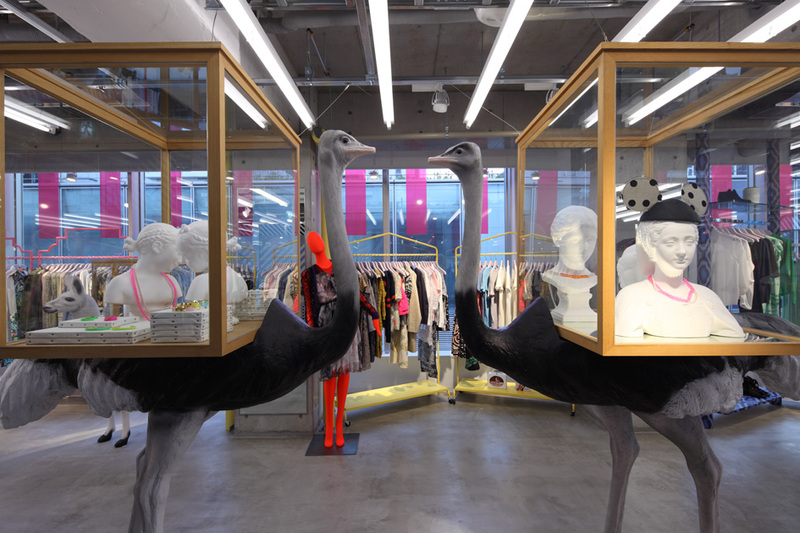 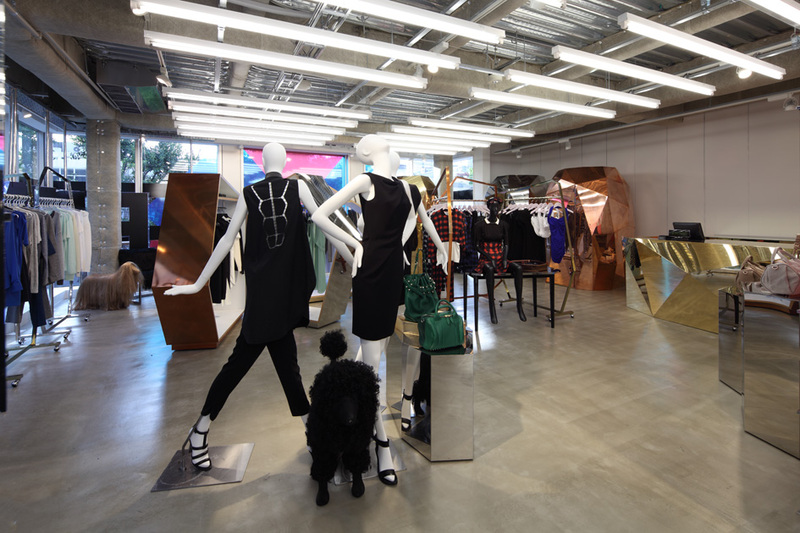 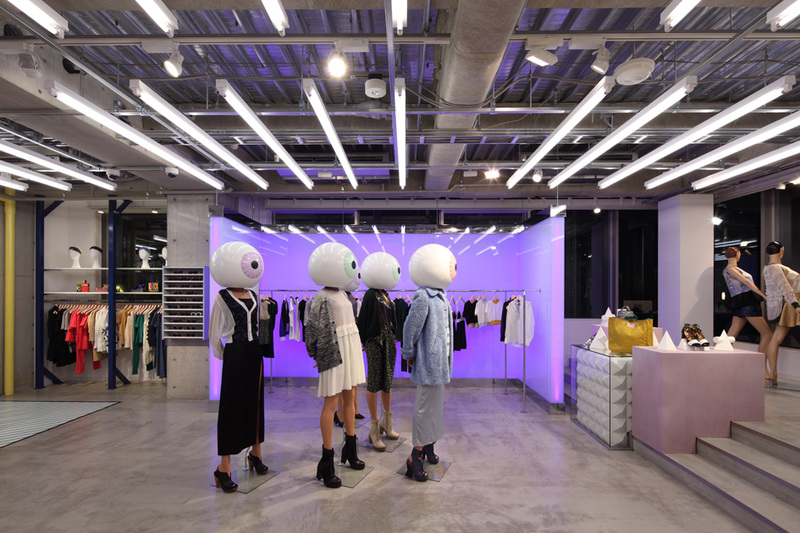 The remarkable select shop from NY, "OPENING CEREMONY" based on "New shopping experience" concept, leads trend fashion culture with introducing up-coming new designers. 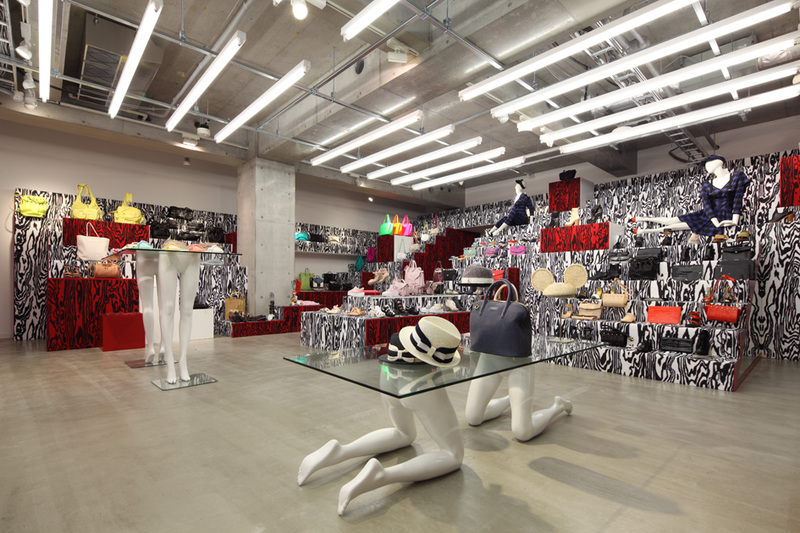 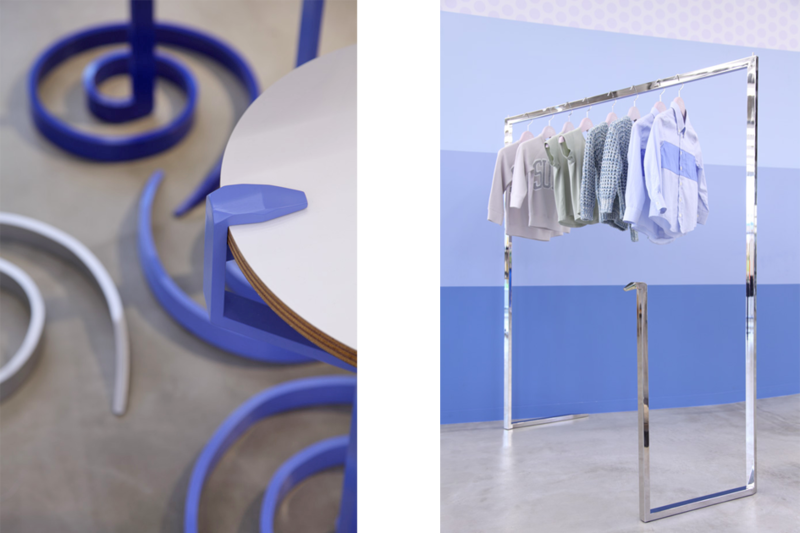 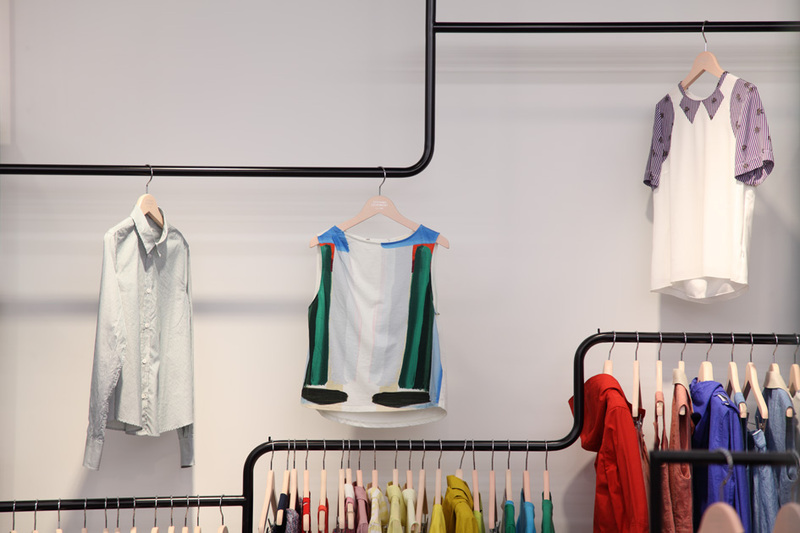 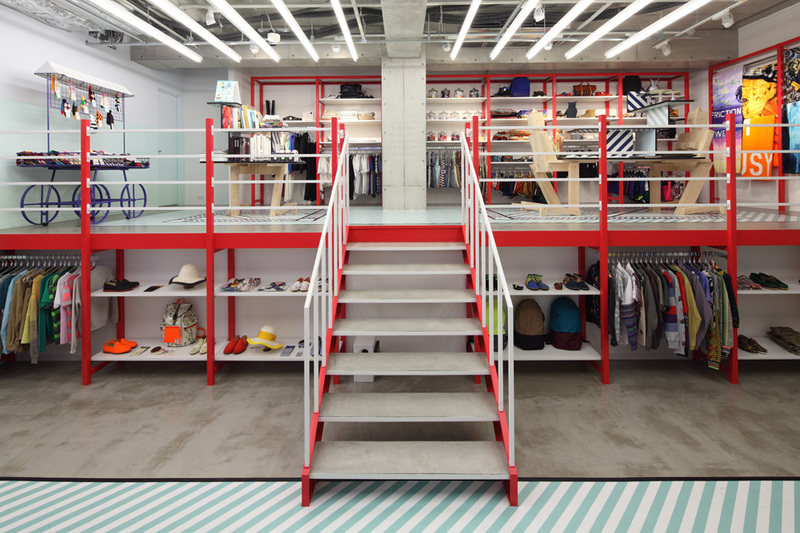 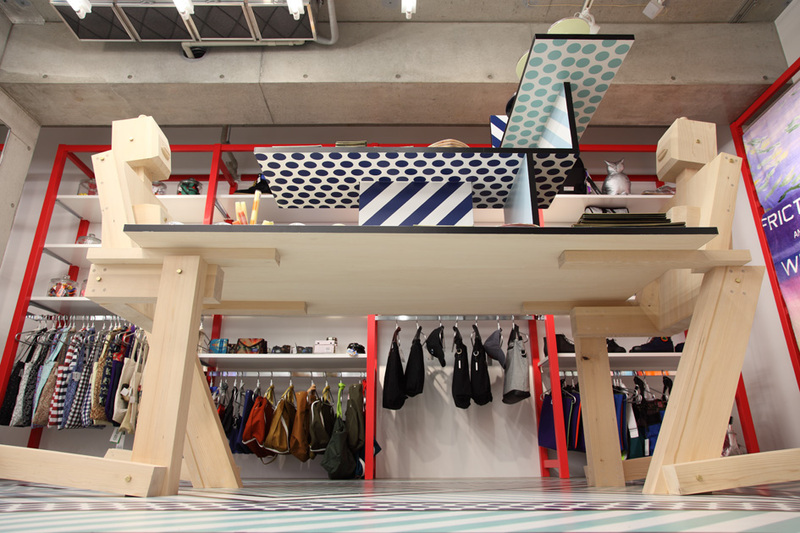 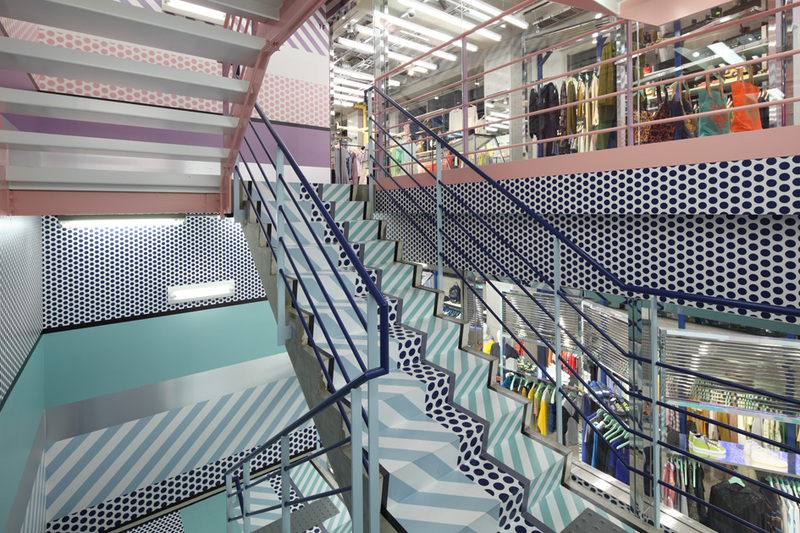 Their new flagship shop is 4 floors stand-alone store located at Cat Street Harajuku moved from Shibuya at April 2013.The theme that we've got from director for this project was "Fresh&Clean". 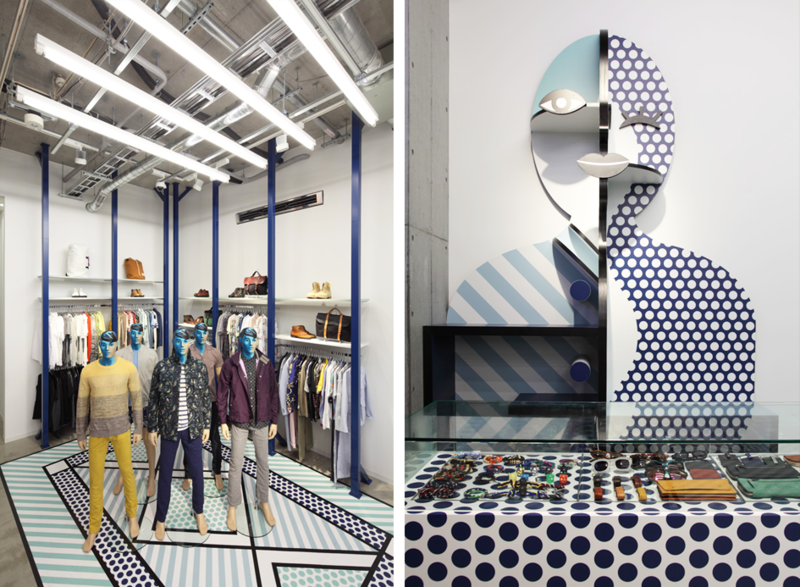 We started to planning with how to translate their new ideas and inspiration, such as, a glass facade wrapped by giant cat graphics, to actual design in simple way. 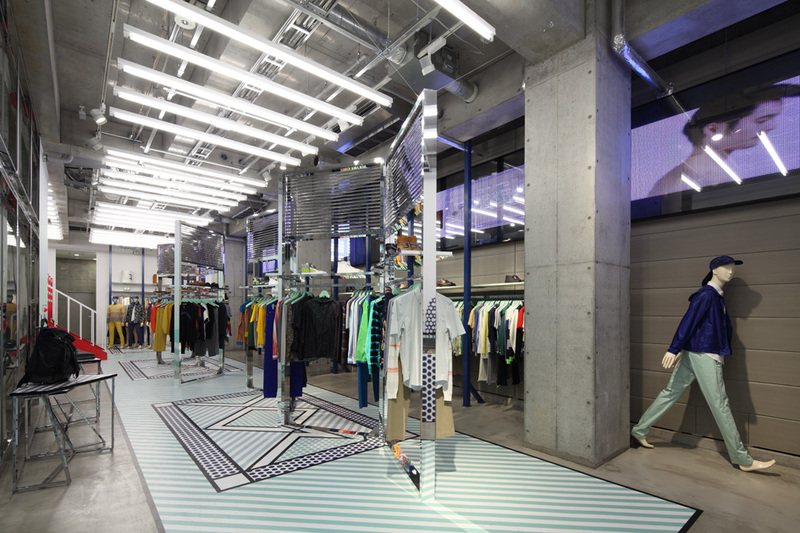 The key elements are dynamic staircase with graphics, wavy hanger racks, floating glass boxes, and also the lighting from LED monitor. 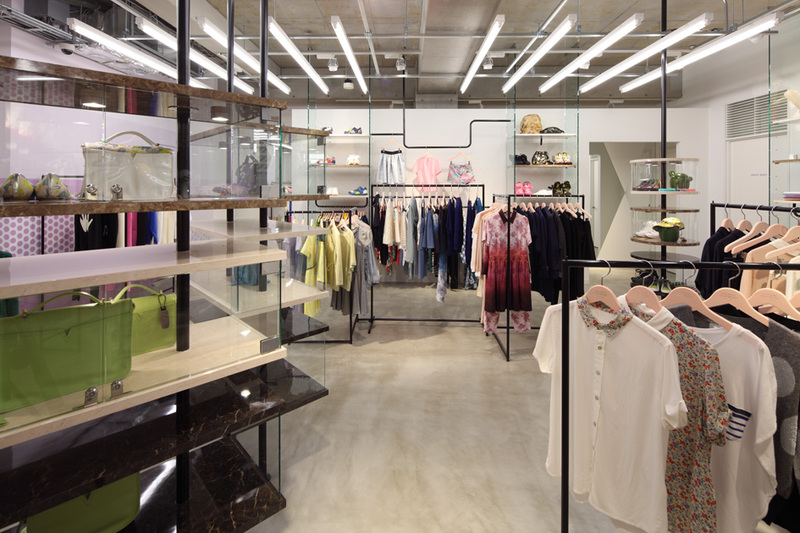 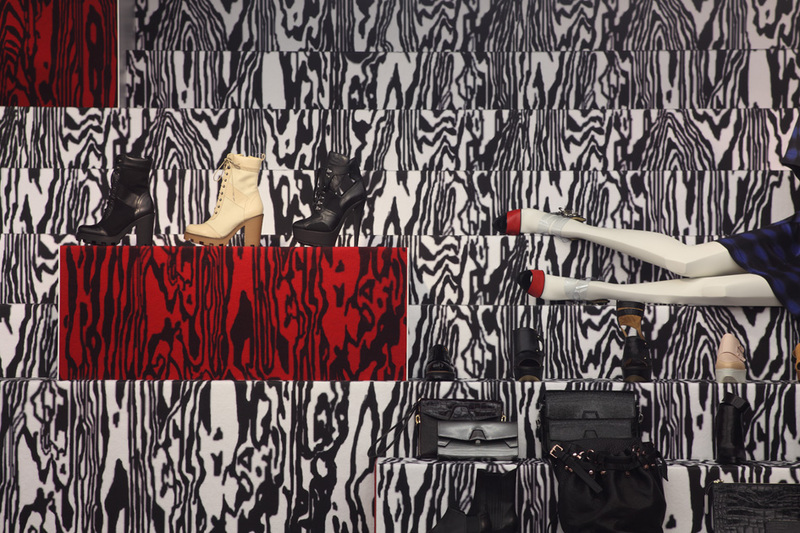 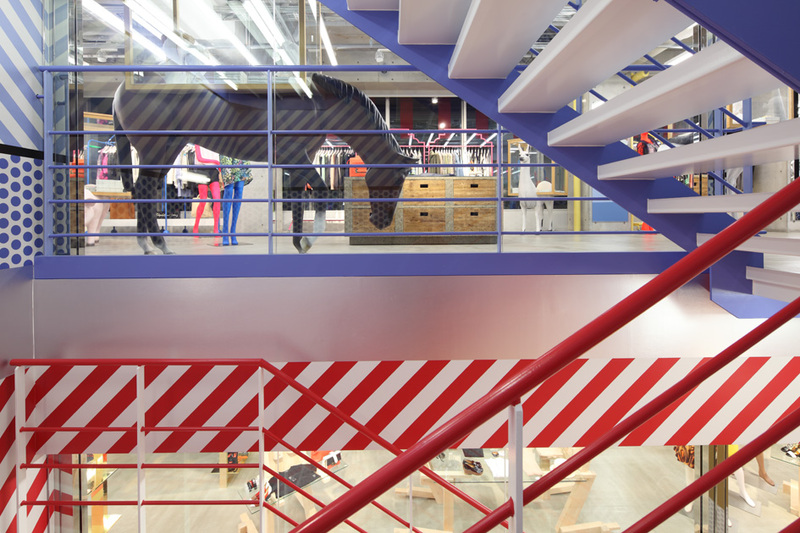 While we created independent shop environment on each floor based on strong colour scheme and different materials by floors. 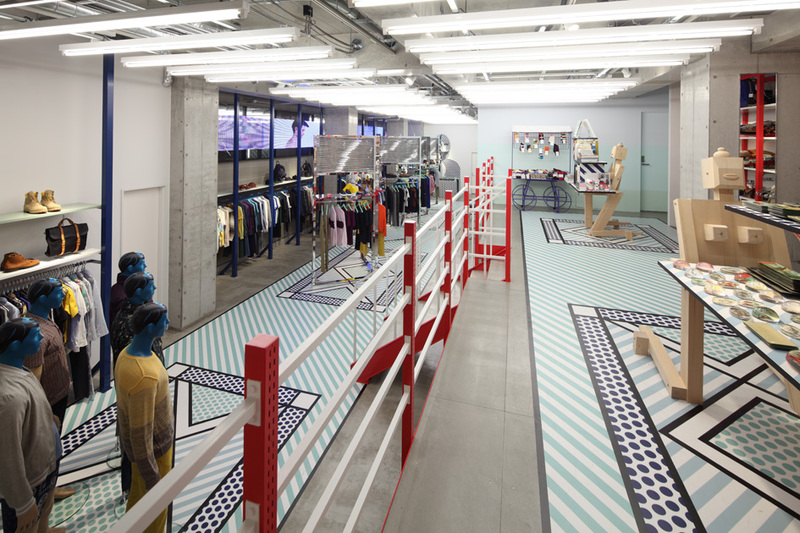 The significant floor graphics on 1st floor linked with basement lead people to downstairs and also implies connection and sequence of space. 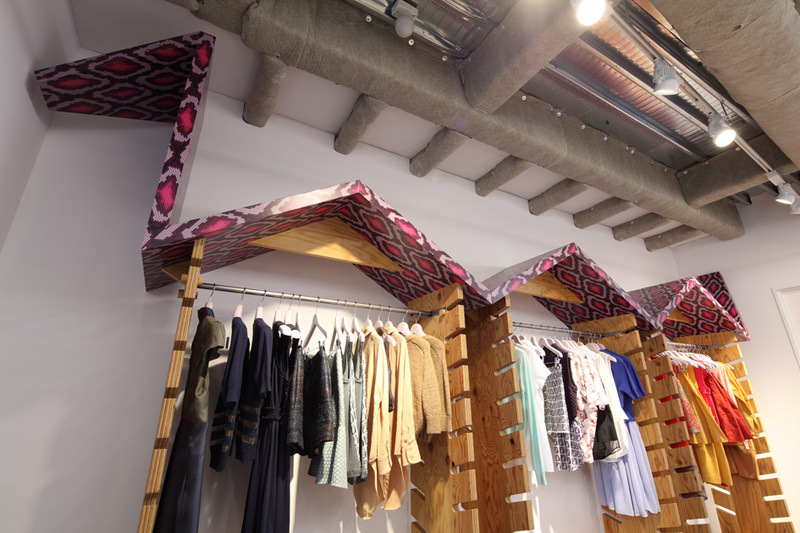 Also, the high ceiling on basement (Men's floor) allows to have mezzanine and it brings spacious shop environment.